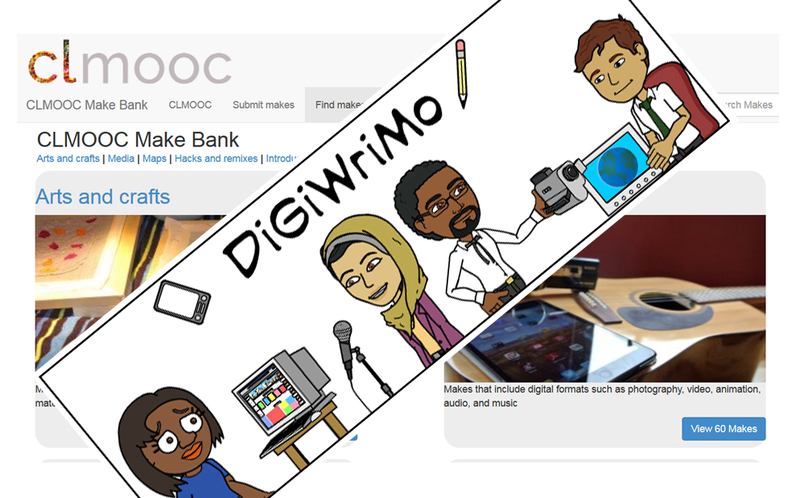 I’m taking part in another open collaborative learning event in November: DigiWriMo. In talking about this with a group of folks last night, someone asked “As a college student working on my elementary major, how could I use this writing piece in my future classroom?” and I immediately thought of the Make Bank. And so DigiWriMo activities will also be added to the Make Bank, starting with the first altCV activity. You can help by cross-posting your own work as “examples” as well as by adding tutorials. Add your own “makes” too! And please keep this in mind as a resource you can use in your current or future learning environments.